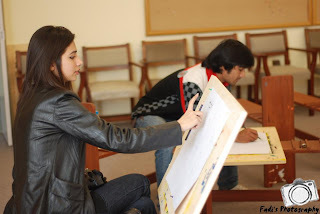 Lahore School Society of Arts (LSSA) organized a sketching workshop on March 3, 2013 at Lahore School Liberty Campus. The students were provided with professional setup and all sketching materials to teach them the basic skills. 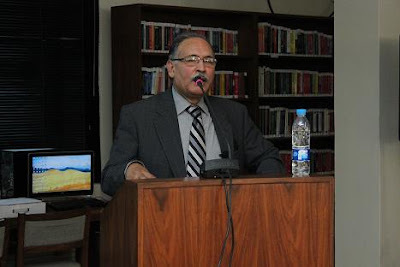 Shahid Mirza from Arts and Media Studies at Lahore School of Economics Liberty Campus conducted the workshop; a lecture on how to sketch a portrait and practice to make a sketch with models sitting in front of them. In the second session different portraits from news paper were given to the students and were taught how to sketch. 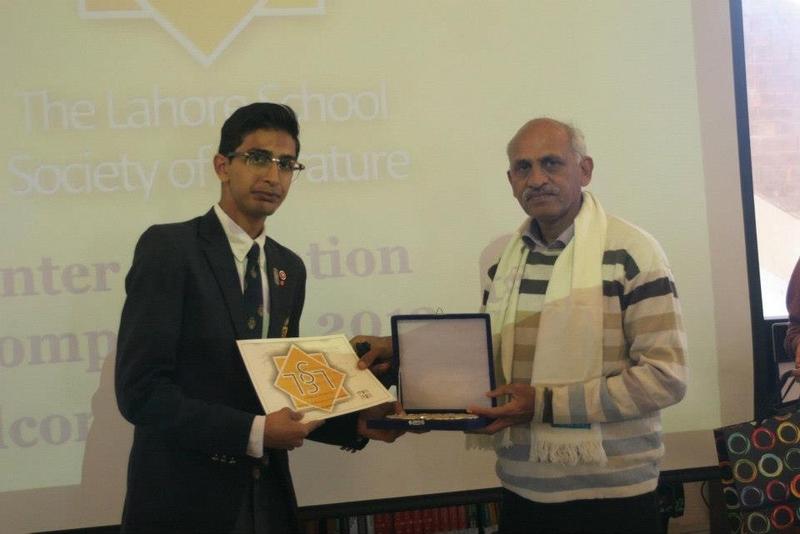 Lahore School Society of Literature (LSSL) organized an inter institution poetry/prose recitation competition which consisted a total of 9 schools and colleges including the home team on February 28, 2013. LSSL has been conducting this event on intra basis but this was the first time that students from other institutions were invited to become part of this exuberant experience. Each institution was represented by two students, one for English category and the other for Punjabi/Urdu category. 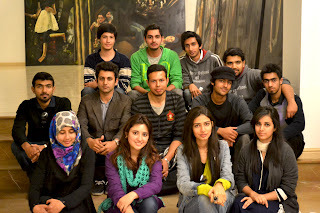 Lahore School Society of Arts (LSSA) arranged a trip to Art Galleries Feb 9, 2013. The purpose of this trip was to provide the young artists of Lahore School of Economics a source of inspiration, and to make them aware of the artwork of other artists of Pakistan. Students were first guided to "Rohtas Art Gallery" - a private gallery - where they got to see the beautiful artwork of "Sculptures". The next visit was made to Ejaz Art Gallery - a big and the only commercial art gallery located at M M Alam Road. Brig. 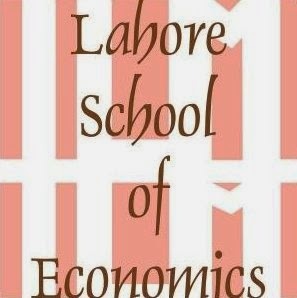 Taimur Afzal, Director Human Resource at Qarshi visited the Lahore School of Economics on April 4, 2013 to give a talk to the students of BBA IV about career prospects for fresh graduates and how to prepare themselves for a job interview. Nobody could get a second chance for making a first impression so one should be well prepared for his first meeting with the potential employer. Knowing own true interests, writing them down and then choosing the company that could serve those interests is the best way. 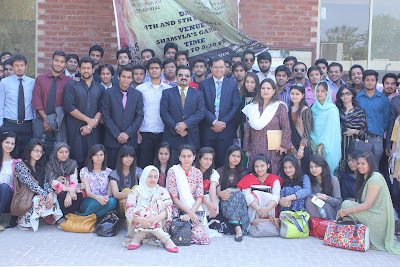 Mr. Kenan Siddiqui, Regional Manager Central Human Resources at HBL visited the Lahore School of Economics to give a talk to the students of BBA on April 3, 2013. Mr. Siddiqui talked about career options in banking, interview techniques and the skills required by fresh graduates to enter the Banking sector and emphasized that sale is a universal skill that could be used in all the segments and departments of a business. He also explained the difference between SME, Retail and Corporate Banking and described what skill sets were required in these different sectors of Banking. Ms. Ashba Kamran, Social Entrepreneur and founder of Foundation of Rehabilitation and Education of Special Children (FRESH) came to the Lahore School of Economics on April 2, 2013 to give a talk on Social entrepreneurship to the students of BBA IV in the Mahmood Chaudhry Library. 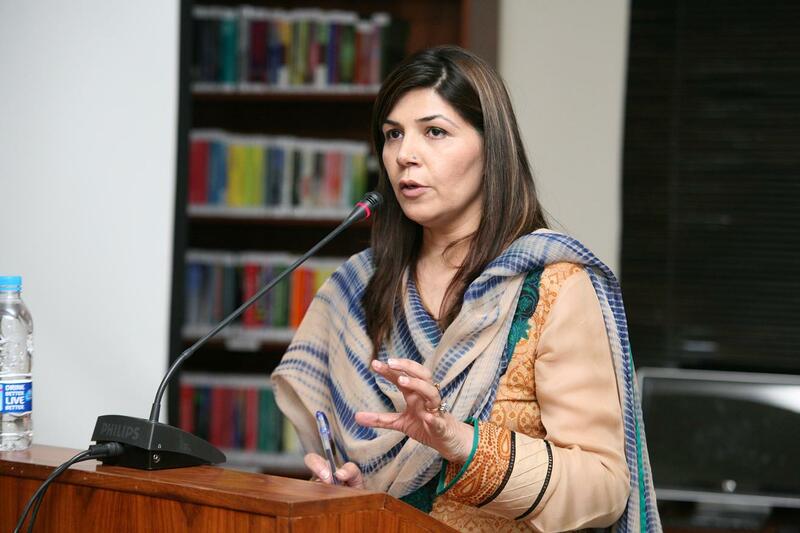 Ms. Kamran explained the reason behind the creation of FRESH. When she found out that her son was suffering from Developmental Delayed Syndrome, she wanted her child to be as normal and competent as other children. Realizing that there was a complete absence of professional help in the form of supportive information for parents and educational options, she was motivated to help others suffering from the same problem and thus FRESH was found with an aim to provide quality education and vocational training for children with special needs and for slow learners.